Looking for coupons on organic, all natural brands like Organic Valley, Silk, Clif and more? Do you shop for gluten-free items? 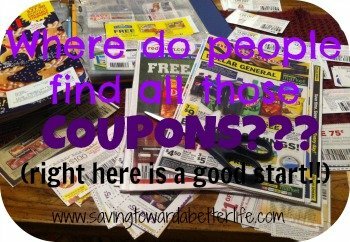 Check out Mambo Sprouts and print some coupons for Enjoy Life, Bob’s Red Mill, VOSS and more! Mambo Sprouts offers up coupons on brands you don’t normally find coupons for, including many vegan, gluten free and organic brands! These great coupons are redeemable at Whole Foods stores which means you can get your favorite brands at your favorite store. 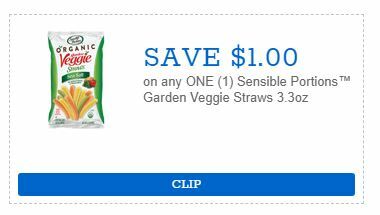 Currently, on Mambo Sprouts, there is a Veggie Straws coupon! I don’t think I’ve seen a couple for Veggie Straws before. This is a go-to snack item in our house so I’m happy for the savings! Look for more great Mambo Sprouts offers in your Valpak envelope in your mailbox. 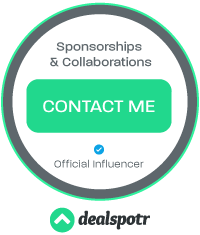 Previous post: TopCashBack: FREE Dawn Dish Detergent from Walmart for EVERYONE! Next post: NEW! Hallmark Cards Now Available at Dollar Tree for just $1 or less!